GREG Kleidon was startled awake by a deafening bang. The 53-year-old Charles Street resident rushed outside to see that his mail box had just been blown to pieces by a pipesized firecracker. "The whole neighbourhood heard the bang,'' he said. The explosion on Monday night blew the lid clean off the letterbox. "They used a really large firecracker,'' Mr Kleidon said. 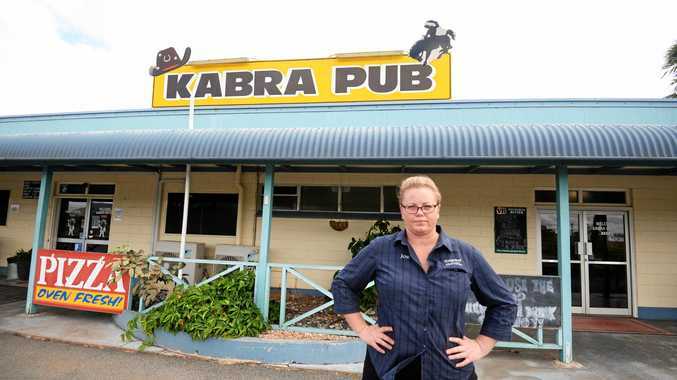 Even though Mr Kleidon said police arrived quickly, vandals in North Rockhampton continue to cause problems. This is not the first firecracker bombing in Rockhampton. Last month, a sparkler bomb exploded in front of Tomkins Cabinetmakers in McLaughlin Street. The offenders had tried to break the front glass door, but the device slipped off the door and caused no damage when it exploded. Senior Constable Leanne McLachlan said such crimes can be hard to police. "We do increased patrols in problem areas,'' she said. "But we rely on the community to give information.